Maybe you're not a social person and would like our full attention. Maybe you're an already formed group of people and you would like an itinerary made just for you, with special requests, dates and other peculiarities. No problem! You should contact us about anything here and we'll figure out the best options for you. We can also organize special performance training camps for advanced climbers or children. Then, another option is SINGLE DAY GUIDING. 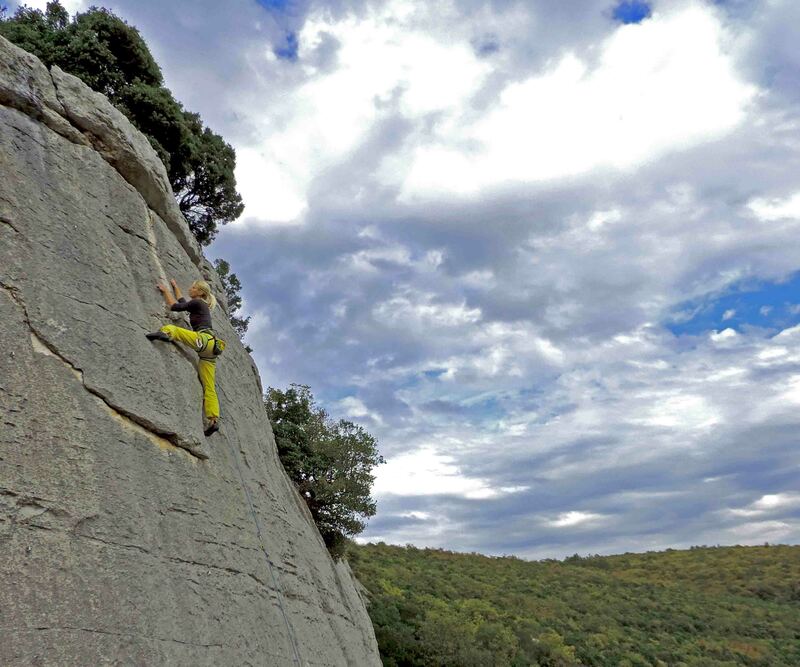 It's very popular with people who are already spending their holidays in the region and would like to try climbing for the first time or are just looking for climbing partner for one day. The prices and availability depend on many factors, but the fee is usually between 80-100€ per day for one person and about 50€ per each additional person. This will guarantee you a professional and knowledgable guide and includes rental of any equipment you may need. Contact us for more info.